If you’re not familiar with payday loans, these are those small, short term, unsecured loans that are linked to your payday. They are sometimes called “cash advances”. Payday loans don’t require a credit check. If you are employed and can prove you get a regular paycheck, you could get a payday loan. The way it works is that you write a check for the amount of cash you want, plus the loan company’s fee. You date the check to fall on your next payday at which time the loan company cashes it. The good of a payday loan is that it’s an easy way to get fast cash. If you were to find yourself in an emergency situation like you suddenly needed to repair your car, a payday loan could be an easy way to get the money you need. The bad of a payday loan is how much they cost. For example, many of the payday loan companies will charge $20 to loan you $100 for two weeks. This is the equivalent to charging more than 400% APR (annual percentage rate). What happens if the money isn’t there? Suppose you were to borrow $200 but then when your next payday rolled around, the loan company could not get its money. 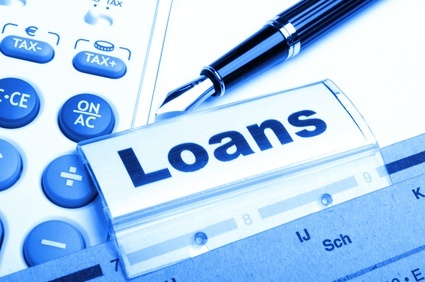 In most cases, it would simply roll your existing loan into a new one with a new fee. This is somewhat like paying off a credit card with another card. You would have to satisfy the balance of your previous agreement with a new agreement. If it had cost you $30 to borrow the original $200 you would have to pay another $30 to extend the loan by two more weeks. This means you’ve effectively borrowed $200 for $60 in interest. If you were to rollover the loan a third time at a cost of $90, this would be an interest rate of nearly 50%. While a payday loan might seem different than a standard personal loan or credit card debt, they work the same way if you can’t pay back the money your borrowed. If for some reason the payday loan company couldn’t get its money, the first thing it would probably do is turn your account over to a collection agency – just as if you had defaulted on a personal loan. The fact that you applied for a payday loan will not go into your credit report. But yes, if you were to default on your loan this would be reported to all three credit-reporting bureaus (TransUnion, Equifax, Experian) and would adversely affect your credit score. How much it would affect your score is impossible to say but it would definitely lower it. If you were to run into a financial emergency such as a utility bill you would need to pay to keep your lights on, payday loans can look very attractive. However, it’s best to find another option. For example, you might be able to get a cash advance from your employer. Or you might be able to get a emergency assistance through a faith-based group or community organization. As an example of this, the federal Low Income Home Energy Assistance Program is designed to provide financial help to low-income households that are experiencing an emergency related to heating or cooling. Finally, some consumer finance companies have small, short-term loans that are usually in the range of 25% –36% APR. This might be s bit high but is certainly better than the cost of a payday loan.